Along with the boards for Holly,Patricia and Jeremy, which are all coming along nicely at the Bing factory, are a few new boards destined for Surfindian. 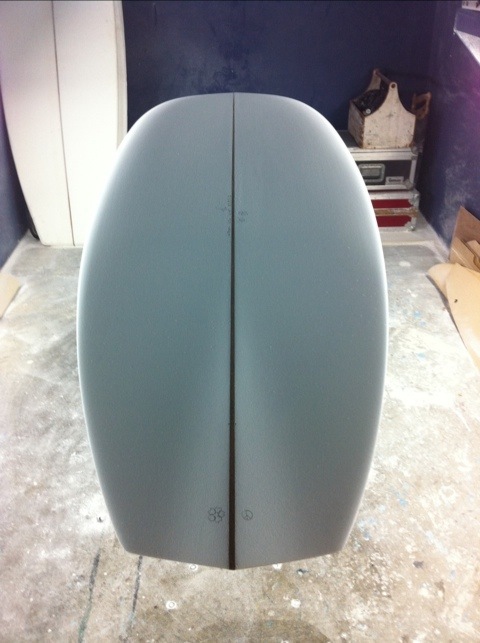 6’0″ HPH beaked downrailer, Geppy #2’s, cool polka dot smoke on clear resin job from Bing, polished gloss top and bottom. 6’7″ HPH Speedster (what I ride), Geppy #2’s, black/smoke/clear band progression resin job from Bing, gloss and polish top and bottom. 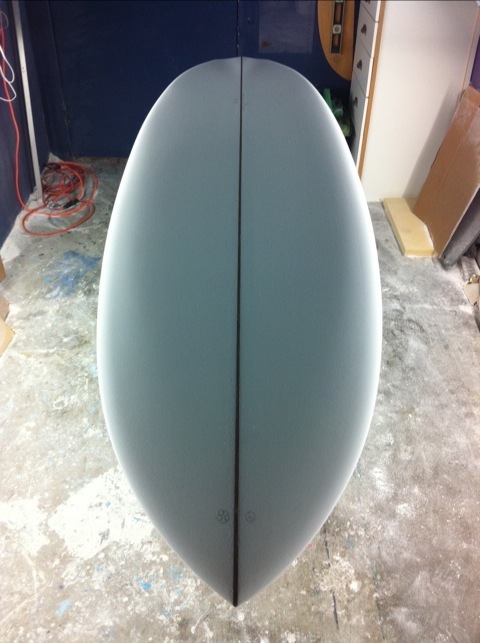 7’7″ Cali Fun Gun (semi-gun), single box, blue/grey 50/50 resin job from Bing, satin gloss top and bottom. Winter is coming!